The 3D technology has been founded in 1980s and available commercially in 2010s. It can be used for making any models, manufacturing prototype and household products. 3D printing is done by combining layer by layer of different materials. A various variety of materials are used in 3D printing such as plastics, metal, food material, resin and even human tissue. Can you believe that this technique is used to create body parts for replacement including noses and ears? In the following list, we are going to tell 15 amazing things you can make with a 3D printer. If you have one, you can print a masterpiece for yourself. In the starting days of 3D printing, we can only print few bulky plastic bodies. Now the technology is more advanced even in 3D printing and print small objects accurately. Jiri Evenhuise, a designer and Janne Kyttamen worked together to build a 3D printer which creates clothes. 3D printed clothes are recyclable and Eco-friendly. A phone and case says a lot about the person’s personality. The design of phone cases consist multiple horizontal and vertical lines and named after its creator, Piet Mondrian. These phone cases are only available for iPhone, iPad and iPod. If you are feeling proud of your HTC, Blackberry or Sony then it is useless because you can’t have one of them. In last two decades 3D printing industry grew from a spark to a billion dollar industry. Now scientists are trying to use 3D printing technology in the field of medicine. Few engineers at Cornell University successfully created a working ear using cells of the patient that were used in 3D printer’s gels. They also have an alternate method to learn about the human anatomy. Nowadays, the 3D printing companies aiming to overcome the toy manufacturing companies. The Pittsburgh based PieceMaker Technologies started this business where a customer picks their design and color and get their product in next 20 minutes. Amit Zoran, a researcher at MIT media lab made a flute in just 15 hours using a 3D printer. The instrument is playable and trying to improve the design. It also come with different furnishing such as gold platted, glossy or bronze matte. There is no question that we love coffee. We can also print a coffee cup and it takes almost a full day. We can print different designs that are difficult to create using normal sculpting techniques. You can also purchase them online including many other household items. A lens is the most complex thing in the camera. If you have a 3D printer, you can make your own lens. This camera lens is made from acrylic with a 3D printer. However the printed lenses are not good as conventional lenses but they take decent pictures. NASA has been using the technique for past few years to print machine parts of their spacecrafts. As the world’s biggest manufacturing country, China promotes the 3D printing technology in the aircraft industry. As I already told you the 3D printing is an additive type, hence it saves money. Jenne Kyttanen designed a set of 3D printed high heels using Cubify printer. The best part is that you can acquire digital online files for free. 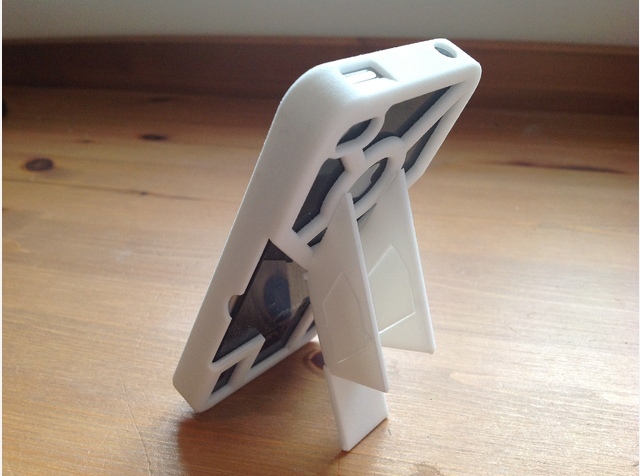 It also comes in different colors and designs and may change the future of 3D printed accessories. Another collection of high heels by Pauline Van Dongen won the award of the most creative collection at the 2010 Mittelmoda. Since the invention of guitars, it has been made of wood. Nowadays plastic also used but the construction process is the same. Before 3D printer, subtractive process is used, which means a large block of wood is carved into its final shape. 3D printing is additive, means the object has been built layer by layers. Art has always played a crucial role in advancing the human understanding and 3D printing pushed it up. 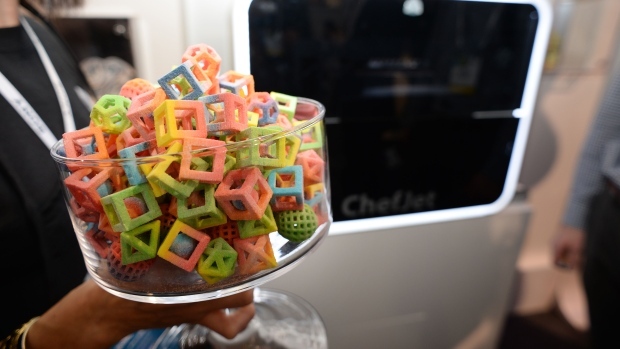 The 2014 New York 3D Printshow shows how you can create your own stunning art using Photoshop and a 3D printer. This technology is better for the artist because the raw material is much cheaper than normal art stock. The previous 3D printed firearms sometimes break after a few rounds, so the US defense system designed a 3D printed metal gun. Last year a Texas company, Solid Concepts designed a 3D printed version of a pistol made of metal. The US-based Defense Distributed has also designed an AR-15 type rifle. Dr. Adrian Bowyer from the department of mechanical engineering at the University of Bath designed a 3D printer which can print other 3D printer named, RepRap. It is a fully functional printer which you can buy at $850. It is an open source printer and all the information is freely available online. It also has a community where a user can download information and upload the modified blueprints. In the end of the movie “Skyfall”, there is a scene when the James Bond’s car blown up with a helicopter. The car used in the movie is 1960 Aston Martin DB5, a priceless and unique car. So they make a 1:3 scale model of 3D printed version of the car which is used in the blowing scene and saved the real Aston Martin for the museum. A professor, Bahrokh Khoshnevis at the University of Southern California along with his team invented a 3D technology that will allow printing a house. They name it, contour crafting and it has a huge 3D printer which creates structures using concrete. 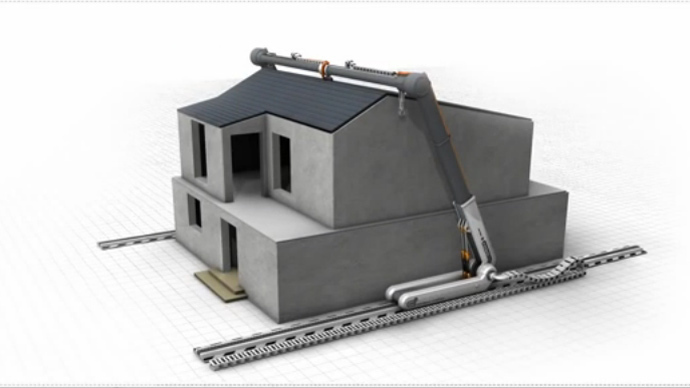 This technology could be used to reduce slums or to provide housing to natural disaster victims.